Dennis Cooper's writing has acquired a ferocious reputation for its bold experimentation, its transgressive content, and its emotional content, which is both Romantic and touching, whilst cold and hard-edged. For over twenty years Cooper has explored the boundaries of human living, and sexuality's centrality to that living. The extreme situations he develops in his writing bring out parts of gay experience that a consensual 'community' often shies away from, likewise the heterosexual mainstream. His most important genre is undoubtedly fiction, but Cooper has also written poetry, large quantities of journalistic works, notably for 'Artforum' and 'Spin', and, recently has had great success and recognition with theatrical works. The book enters deep into the worlds Cooper fabricates -- and into the coolness of his expression. This challenging work is addressed by a group of mostly young and new critical writers and academics who provide creative responses to Cooper's artistry. The contributions, which cover the breadth of Cooper's work, develop themes and devices that advance his profound and disturbing world view. In addition to the artistic responses, the topics in the critical pieces range from sexuality in the suburbs, to neurological responses to the work, via the limits and possibilities of bodies. Others look at the implications of contemporary electronic communication as outlined in Cooper's recent work, or the use of space. 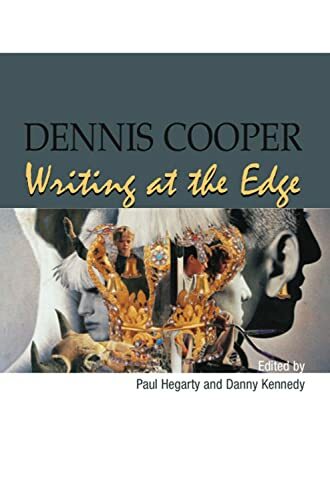 Cooper's writing receives a multi-faceted contextualisation, and his literary ideas are made accessible to any reader interested in learning why Cooper is today regarded as one of the foremost writers in expressing the psychological point behind the centrality of sexual expression. Paul Hegarty is Lecturer in Cultural Studies, Department of French, University College Cork. Danny Kennedy is a research graduate in the Department of English, University College Cork, and teaches modern literature and theory.